Repetition training | Run S.M.A.R.T. What Pace Or Effort Should I Run Hill Repeats? We get this question a lot from clients since we have a clear purpose/intensity behind our main training types (Easy, Threshold, Marathon, Interval, Repetition, Fast Reps) but not for hill repeats. We see hill training as Repetition work but with added resistance. 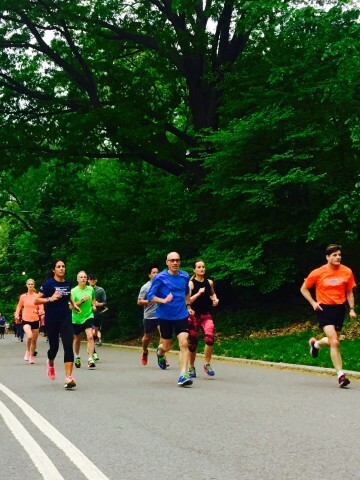 Just like Reps, hill repeats help improve speed and economy. In general, you should run hills at the same effort as Reps (current 1-mile race pace). They should not be sprints so you want to focus on running with good mechanics and make sure you’re not tightening up a lot near the top of the hill. Run hills fast but strong and relaxed throughout. Our concern with hills is always regarding the repeated downhill running between the work portion. Make sure to be soft/quiet on your feet running down the hill to reduce impact and ensure that you are taking enough time so you’re fully recovered between each. Whether you’re a beginner, competitive, or marathon runner short speedwork, or Reps, as Coach Daniels coins in his book Daniels’ Running Formula, should be a part of everyone’s routine. The purpose of Rep work is to train the body to become a more efficient runner. By running at faster speeds you can actually reduce injuries by improving your mechanics. Eventually this type of running makes your easy runs feel a lot more comfortable and allows you to increase your everyday training paces. It’s also a fun way to break up a monotonous routine of steady runs! There’s a common misconception in the running community that speedwork is for more advanced runners and puts you at higher risk of injury.